Born in a rural Indian village to a destitute single mother who abandoned her at the age of two, Sabina was sentenced to a miserable life certain to end quietly, anonymously and early, thanks to a congenital heart defect that could only be repaired by a costly surgery in a far away city. The tens of thousands of dollars needed for this surgery may as well have been billions. And from her home in the foothills of the Himalayas, a world-class cardiac hospital in Kolkata was an insurmountable, interplanetary distance. But Sabina’s story has played out differently than that of countless millions of orphaned children living in poor countries around the world. At her most vulnerable point — as a frail, sickly toddler on the brink of starvation — Sabina was rescued by Asia’s Hope in India. 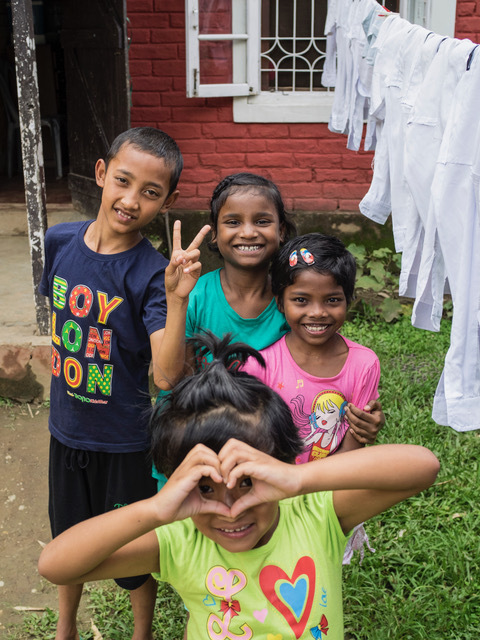 And like all the children welcomed by Asia’s Hope, she was placed in a loving, Christian home with a mom and a dad who accepted her as their own daughter, surrounded by siblings who, like Sabina had themselves been rescued from a life of poverty, loneliness and exploitation. No longer unwanted and vulnerable, Sabina’s daily life — and long-term outlook — was immediately transformed. Anil and Latika, her mom and dad, bathed her, fed her, clothed her. They tended gently to the sores that covered her face. They taught her to walk, to sing, to dance. At the age of six, Sabina was still small, but no longer emaciated. Her eyes, which were before hollow and haunted, now illuminated dark rooms. And her smile seemed of its own power to chase away clouds. 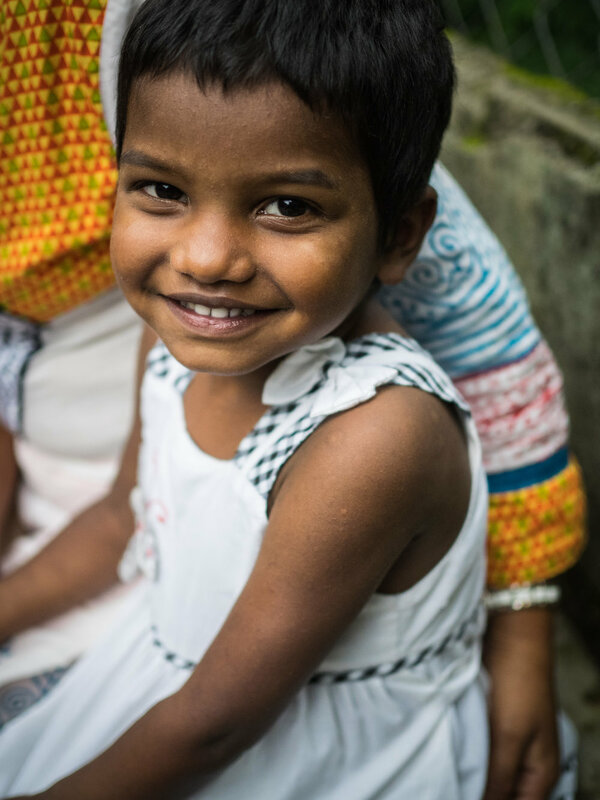 Sabina was now healthy enough for a life-saving open heart surgery. And because she was an Asia’s Hope kid, all her parents had to do is ask. Even before hearing the cost, I said, “Yes. Of course. 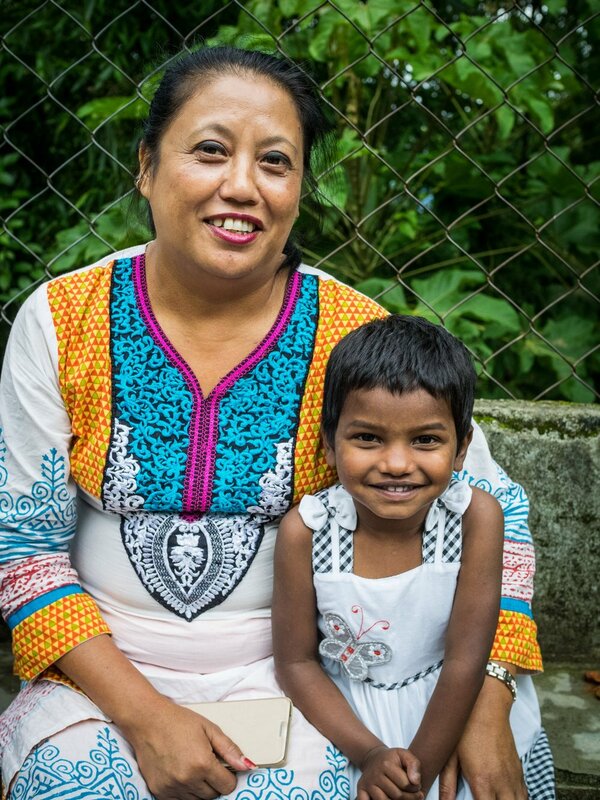 We will do for Sabina what I would do for my own child.” I knew that the Asia’s Hope community would respond with its characteristic generosity. I added a giving page to the Asia’s Hope website, sent out an email and posted the request on Facebook and Twitter. Within a few short days, our supporters contributed enough money for the surgery. 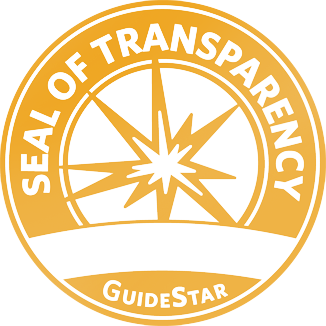 After a couple of weeks, we raised the full amount needed for the surgery, travel, recovery and follow up care. Last Thursday, skilled surgeons carefully opened Sabina’s chest and, over a period of nearly 8 hours, repaired valves, ventricles and arteries before carefully stitching her up and gently bandaging her tiny body. She awoke surrounded by loving family, embraced by the prayers of 800 Asia’s Hope kids and 200 staff in Cambodia, Thailand and India, and thousands of Asia’s Hope supporters in the U.S, Canada and Australia. This morning, doctors allowed Pastors Amber and Sunil to bring phones into the recovery room, and I was blessed to receive a video call from my little friend, Sabina. “Jaimashi!” she beamed, her smile bright as ever. “Jaimashi, Sabina!” I replied. Pastor Amber tenderly untied Sabina’s gown, briefly revealing the bandages that trace a shocking outline of a truly massive incision. It’s amazing to me that such a little girl could not only endure such a traumatic procedure, but come out of it smiling. 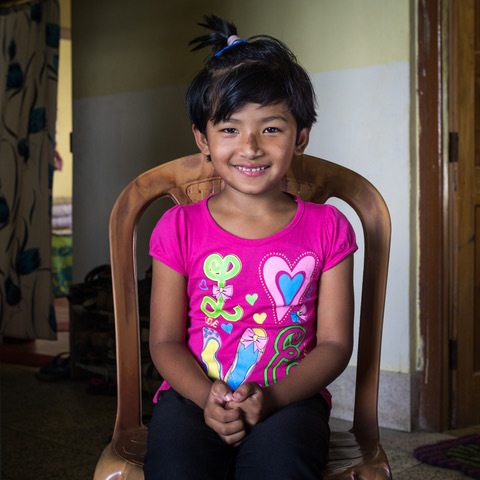 Sabina’s doctors expect her to recover fully and live a normal, healthy life. We’ll have to watch her closely, and she may need to have some additional procedures as she grows. But her parents know — and she will come to understand — that she is so deeply loved, so well-supported, that she will always receive the care she needs to flourish as a beloved daughter in God’s beautiful family. The joy of Sabina’s successful surgery was, however, dimmed this week by the sudden, tragic and devastating influenza death of 8 year old Nikita, another of our children rescued by Asia’s Hope India. Nikita’s early life was not entirely unlike Sabina’s. She lived in extreme poverty until she was brought at the age of five to Asia’s Hope. She too was given a new home, new parents and a group of siblings who loved her well. Her time in our care was as much a blessing for us as it was for her. One daughter saved. One daughter lost. Such an equation is meaningless in the mathematics of the heart. One life doesn’t cancel the other. This is no zero-sum game. Today, we hold extraordinary joy in one hand and crushing sorrow in the other. We cry out, “Why, God?” and “Jaimashi!” in the same breath. We are healed. We are pierced. It would be far easier to never care enough to experience such pain. Many do. Why should you or I invest so much time, money, effort and emotional capital into an orphaned child — one of millions — living on the other side of the world? Not my fault, not my problem. But as I’ve come to experience the heart of a Father who would send his own son to pay the debt for my rebellious, stubborn, selfish heart, I’ve also come to understand that the hurt and the healing all come in through the same wounds. You can’t shut your ears to the cries of the poor and still hear the symphony of grace that turns deserts into gardens, sutures shattered hearts and turns orphans into sons and daughters. I’m grateful for all of you who have joined me, who have joined Amber and Sunil, Savorn and Tutu, Anil and Latika and so many others in welcoming Sabina and Nikita and hundreds of other children like them. It’s an honor to serve with you, and even to mourn with you. Summer 2017 — It's a wrap.